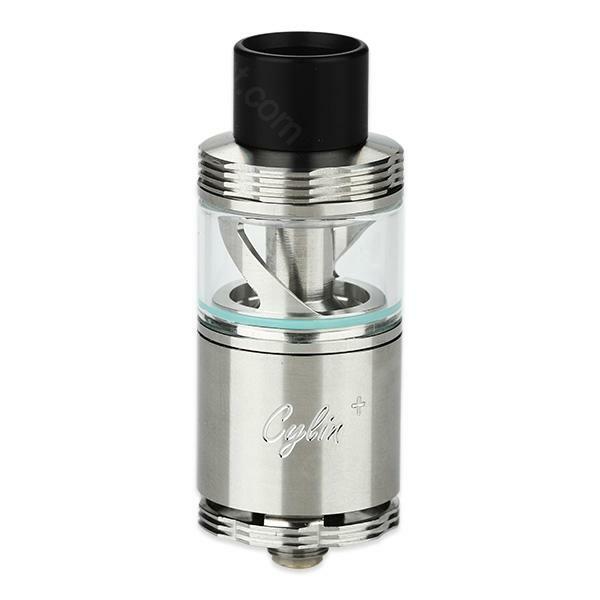 Cylin Plus tank is the updated version of Cylin RTA. The new version has e-juice capacity of 3.5ml. With the special base structure, it is possible to be used as a RDA or RTA tank. Cylin Plus Tank can be used as a RDA and RTA. This multi-functionality makes it much attractive and popular. Along with its detachable structure and newly introduced clapton coil, it will bring you larger vapor and better flavor. • Detachable Structure, Easy Cleaning: The Cylin Plus is made of stainless steel which makes it much durable. And all the parts can be detached for easy cleaning. • Brand-new Atomizer Base: The improved base with elastic contact structure makes the coil in good contact, and coil fixing become more convenient. You can also rebuild the coils to your preference for DIY fun. • Newly Introduced Clapton Coil 0.4ohm: The Clapton coil will bring you larger vapor and better flavor. You can also rebuild coils to your preference for DIY fun. • Top Filling System & Adjustable E-liquid Inlet: By rotating the top cap, liquid inlet can be regulated easily, refilling can also be completed quickly by removing the top cap only. • Bottom Airflow Control: Through the precise bottom airflow control, better flavor and wonderful vaping experience will be gotten successfully. Tank have one cone which is the Juice flow controll. little bit tricky beacuse tank top cap between the Juice controll have a vaacoum. And you cant open the cap the Juice dont come to deck. This is the one cone. WISMEC Cylin Plus RTA/RDA Tank gives me a good experience for vaping. Habe schön WISMEC Cylin Plus die nehm ich nur auf Arbeit.Die E-Zigarette ist für zwischöndurch.Also mein Fazit immer wieder.